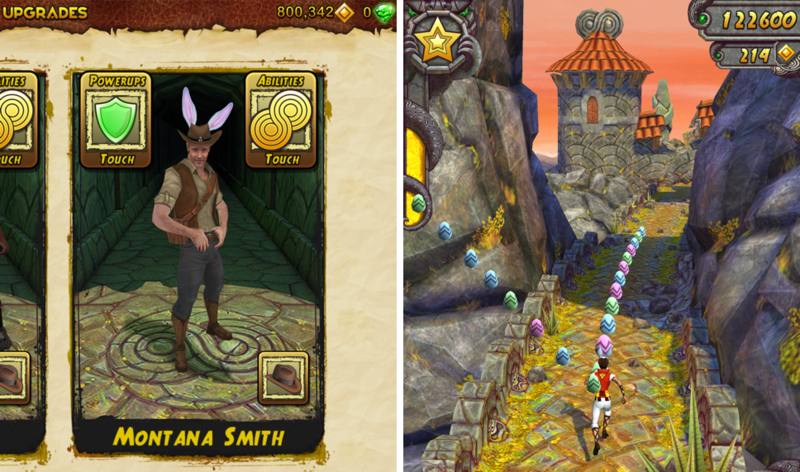 A big update is coming for Temple Run 2 players, one which brings a major addition – cloud save support. After the update, players can keep the same player profile across any number of devices, meaning you don’t have to worry about “starting over” if you get a new device. On top of cloud saves, players will now have access to a Save Me wheel, which you can spin after you are done with a run. The wheel provides coins and other prizes for players. The update also brings an Easter theme, turning coins into painted eggs, and you can also apply limited-time bunny ears to your runner. Fancy, fancy. The update will be live tomorrow on Google Play, so prepare yourselves.